Clean Bar Box sends four seasonally appropriate soaps each month. The June 2015 box smelled so good I was practically drooling as I opened it and dug through what was inside. There had been a couple spoilers for what would be in this box but you never know how wonderful something is going to smell until it's under your nose. Since debuting, Clean Bar Box has added to their subscription portfolio. This review is for the regular Clean Bar Box but they also have a box of four half sizes for $14.99. You'll get four bars, four different scents, of about 2.5 ounces each. This box has two full size ~5oz bars and two half size bars. Handily, you can also get a box delivered bi-monthly. So if you're just one person, you won't find soap stacking up faster than you can use it. 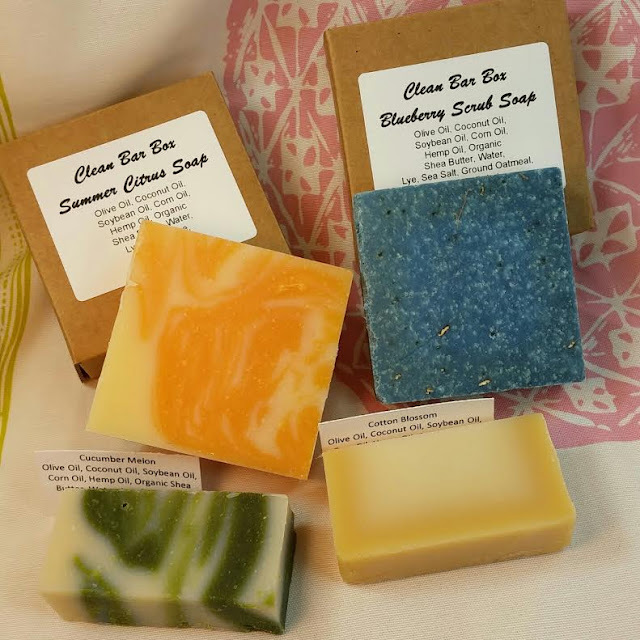 What You Get: Four bars of handmade, seasonally appropriate, scented soaps. Two full size at ~5oz and two half size at ~2.5oz. 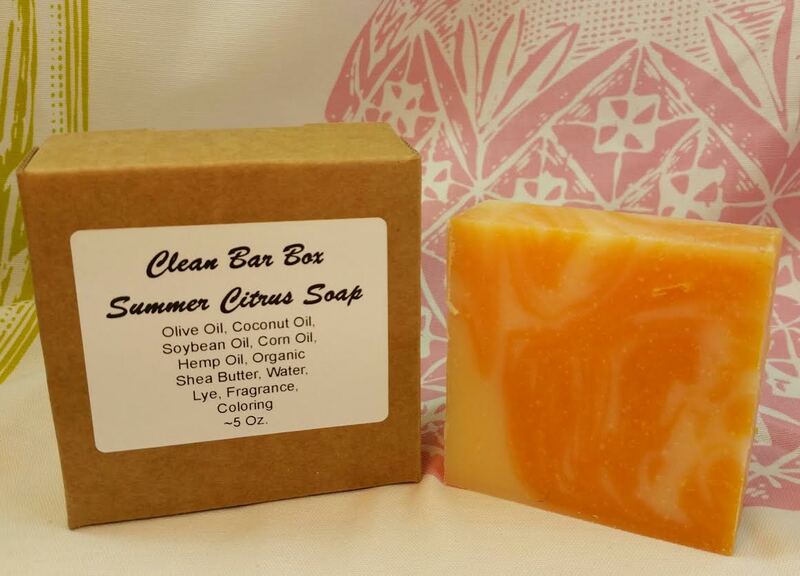 Summer Citrus- This bar is so deliciously fresh and citrus scented, I want to eat it. It's the first one I want to use as soon as the one in the shower is gone. We use a lot of handmade soap around here and we tend to go through it pretty quickly. Blueberry Salt Scrub- This is the bar I was the most excited about after seeing the spoilers. It has Sea Salt and Ground Oatmeal in it for some good exfoliation. I'm so glad they included this. The blueberry scent is a little sweeter than I like but I'm not complaining. Maybe I should have both these bars in the shower. Cucumber Melon- This is a half size bar at 2.5oz. It's still a good chunk and I like to use them at the sink in a dish. Because they're smaller they get used up more quickly and don't get all gummy and gross like a bigger one would in our bathroom. This was the only scent that did not smell like I felt it should. I adore anything cucumber melon scented but this smelled more floral than anything else. It didn't smell like what I expect cucumber melon to smell like at all. Sad. Cotton Blossom- This smells exactly like dryer sheets! And I know that sounds weird but it smells so refreshing. I love the scent of clean sheets and that's what this reminds me of. I put this in the powder room because the room is small and I'm hoping the scent of the soap will linger in the air. VERDICT: Since I love handmade soap, I'm a bit biased. I really like Clean Bar Box. 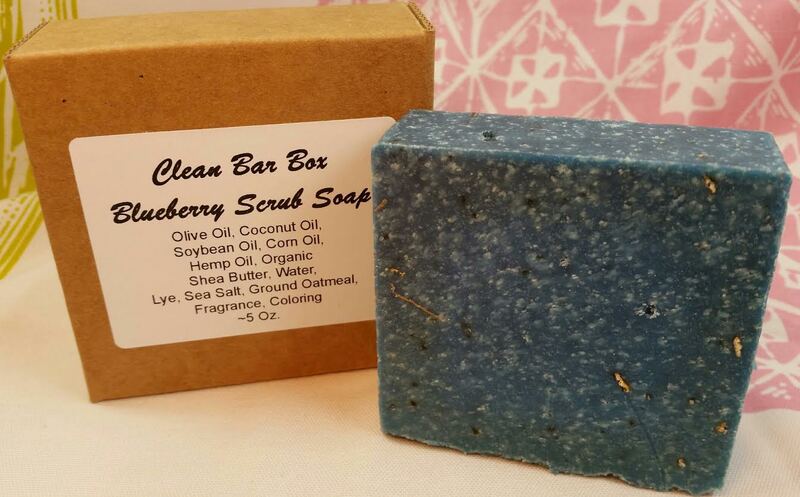 I think they include a very nice variety of scents and I love that the Blueberry Salt Bar has some extra exfoliating awesomeness. 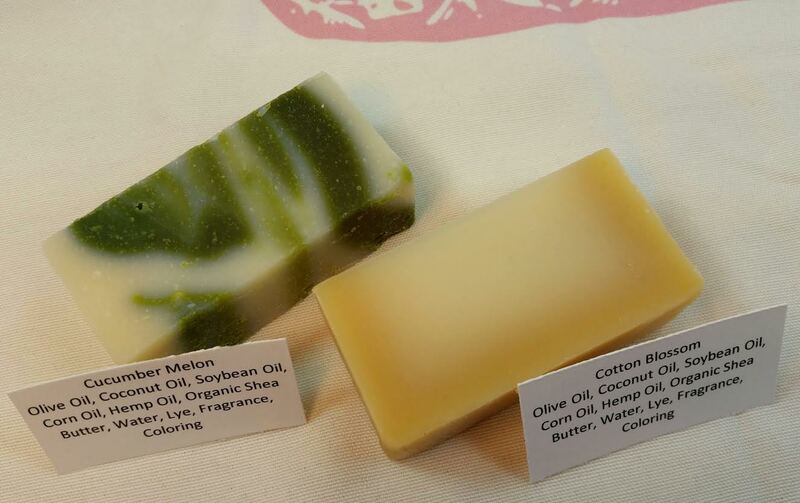 These bars all are made with olive oil, coconut oil and shea butter which all make for a great soap. The soaps create good foam and are just slightly on the soft side which I prefer. When soaps are too hard, I feel like they just aren't as moisturizing or as easy to use. One of the things I love about handmade soaps are the unique scent combinations you can get. I'm happy to see that Clean Bar Box is including some of the more unusual "flavors" in their boxes. It's one of the things that keeps me going back to small batch soaps. Plus, these soaps are made with no preservatives, parabens, animal products or lauryl sulfates, so you can use them worry-free. If you would like to sign up for Clean Bar Box, you can do that here. Make sure to use coupon 5OFF to get $5 off your first box. I think if you sign up now, you may even be able to get this exact box! If you don't want to spring for a whole box, you can use code SHOP15 in their soap shop and buy what you like. I recommend the Cherry Almond. I don't see the Blueberry Salt Scrub or the Summer Citrus in the shop yet but I like those as well. I notice Clean Bar ingredients include "Fragrance" and "coloring" ( I think Fortune Cookie does too??). I've just recently been getting into more natural (less chemical) products and I'm just curious if that means I should stick more to Sudsy and Natural Levels soaps which I don't think include those unnecessary extras? I have no idea and should probably try to research it myself but just curious if you or any of your readers has thoughts on that. Thanks for the review - I would love to try the cherry almond scent!! I think if you want to avoid synthetic fragrances then yes, Sudsy and Level are going to be better for you. I think Level uses mineral pigments and Sudsy seems to be less about color except the color the soap naturally turns based on the essential oils uses and I did get a bar with chlorophyll for green swirls. I'm not positive what kinds of dyes the company Clean Bar sources from uses but I did put in a question about it. Fortune Cookie is definitely out of control with the dyes and while I don't mind that in my soap but that spray sample of perfume with the green in it was a little over the top. Who wants a perfume that stains? !